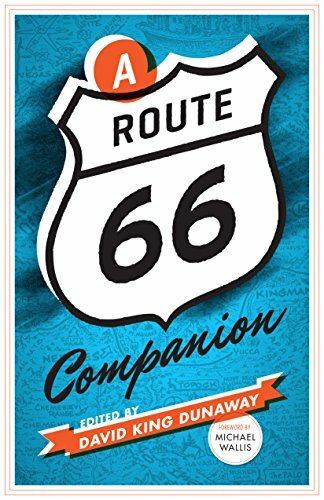 The mission of the Route 66 Archives and Research Collaboration (ARC) is to make research and oral history materials accessible to the general public and Route 66 stakeholders for the purpose of education, preservation, and management of the historic Route 66 corridor. Route 66 ARC is the result of a meeting initiated by the National Park Service Route 66 Corridor Preservation Program held in Albuquerque, March 2007.
" Old Towns Challenged by the Boom Town: The Villages of the MIddle Rio Grande Valley and Albuquerque Tricentennial" New Mexico Historical Review, Winter 2007, by Brian Luna Lucero. The Rise of the Regional City: Spatial Development of the Albuquerque Metropolitan Area – Stephen M. Wheeler and Wade Patterson, 1–36. Old Towns Challenged by the Boom Town: The Villages of the Middle Rio Grande Valley and the Albuquerque Tricentennial – Brian Luna Lucero, 37–70. “En Unidad, Hay Poder”: Community Activism and Ethnicity in South Martineztown, 1930–1974 – Vanessa Macias, 71–96. Franz Huning’s Highland Addition: Albuquerque’s Railroad-Era Development – Ann L. Carson, 97–120. The Penitente Brotherhood. A Review Essay – Enrique R. Lamadrid and A. Gabriel Meléndez, 121–128. The Rocky Mountain Online Archive is your source of information about archival collections in Colorado, New Mexico and Wyoming. Specialized guides, called finding aids, give detailed descriptions of primary source materials located at twenty-seven different repositories. Search the finding aids to discover what historical materials are available for study and where those collections are located. The Rocky Mountain Online archive is managed by University Libraries at the University of New Mexico. Leadership is provided by representatives from each of the three participating states. School-Based Healthcare Centers in Rural New Mexico: Exploring an Architectural Prototype, Gabriella Gutierrez, Associate Professor, UNM School of Architecture and Planning. Professor Gutierrez, former Dean of the School of Architecture and Planning, teaches about design of school-based health care facilities, along with other Architectural courses. See her faculty profile.